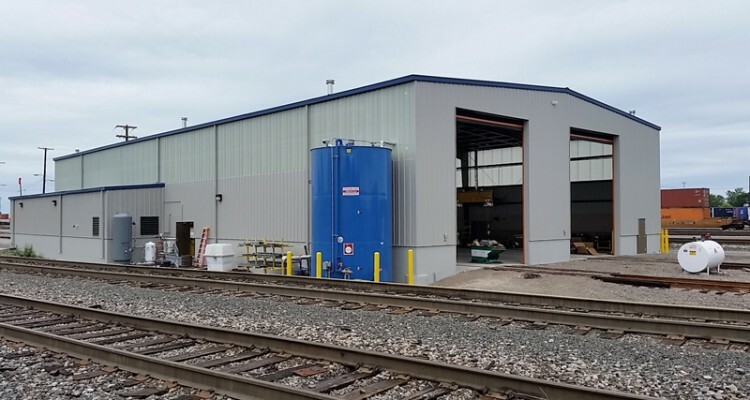 Gerding Collaborative has worked with CSX Transportation on various rail yard structures since 2012. Together with a new director of facilities design for CSX, Gerding Collaborative has endeavored to humanize the rail yard structures. We are glad to be a part of the effort to rejuvenate CSX’s building program. 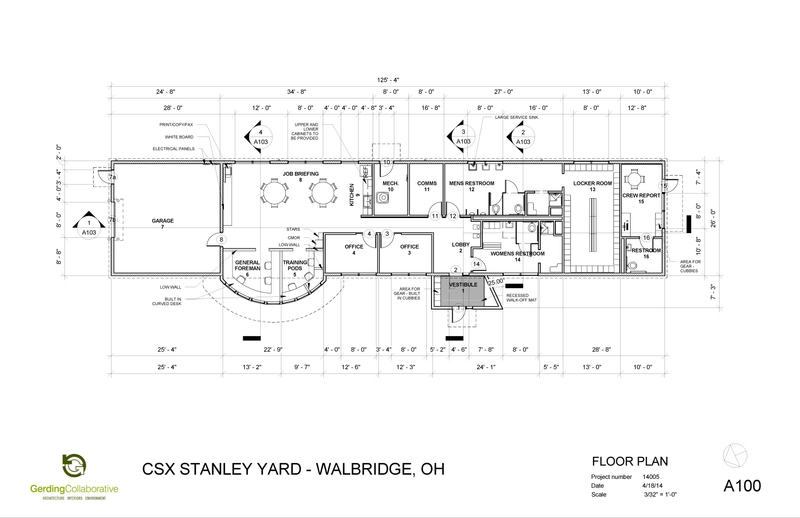 The Mechanical Office Building at Stanley Yard (IMAGE AT RIGHT) is one of the first CSX projects in the new effort to enhance the building program. It provides training and office area, as well as staff utilities. The curved area enables the general foreman to have an unobstructed view of rail tracks while being a highlight of the building. New concepts incorporated in this new design direction will serve inform subsequent structures.